Cheap Promotional Highlighters With Your Logo Printed! Promotional Printed Highlighters, Fast Turnaround, Low Prices! Available in several bright colours, with silver or white barrels on which your corporate logo and name can be printed, our selection of stylish highlighters make great marketing giveaways for companies that would like their clients to know how much they value their business without having to spend a great deal of money in order to achieve this aim. Furthermore, these high quality branded writing instruments will help to ensure that your company maintains a highly visible presence in the marketplace and when printed with your telephone number will enable prospective customers to get in touch whenever they wish. To make it easy for you to plan and execute new marketing campaigns within small timeframes, lead times for all the products in this section are as short as possible. Depending on your exact requirements, your order could arrive within 5 days after all the formalities have been completed. 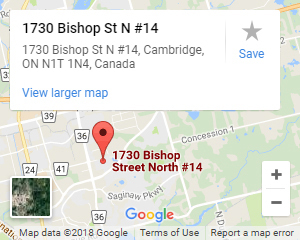 We deliver to all parts of Canada and the merchandise is dispatched from Ontario, which means that the prices you are quoted are the prices you will pay. No need to complete reams of paperwork in order to comply with customs regulations and no costly import charges to contend with either. With low prices applicable to all orders and discounts available when you buy in bulk, the range of highlighters that we sell represents excellent value for money. We operate a price match policy on all items in the range and because our shipping services are charged at cost, you can be sure that you are getting the best deal possible when sourcing personalized writing instruments such as these from us. If you decide to take advantage of our artwork service, which is completely free of charge, you will be able to stretch your corporate giveaway budget even further, without having to compromise on the quality of the items that you purchase. Many companies buy promotional gifts that have very little value to the people that they give them to, which means they are often thrown away after a few days or tossed into a desk drawer never to be seen again. This is bad news for the companies in question as it means that they will gain very little benefit from the money that they have spent. However, if you invest in products such as our highlighter / pen combos, you can be sure that they will be genuinely useful to the people that are presented with them. With custom logos and lettering boldly printed on the barrels, the recipients of your gifts will always remember your firm and what it has to offer. You can see for yourself that we have an attractive selection of highlighters, all of which are keenly priced and available at short notice. If you are looking for a cheap solution to your corporate marketing issues, get in touch with us today to discuss your specific requirements and request a detailed quotation.